Drones have been around for a long time, but only recently have they become affordable to the general public. Prices, combined with the potential for some pretty impressive video, have a lot of businesses wondering, should I use a drone? The drone industry is expected to go from a value of $3.3 billion to somewhere around $90 billion in the next 9 years, if that gives you any indication of expected popularity. For resorts and hotels, it makes sense. Potential visitors love photos, videos and 360-degree virtual tours – a drone video of your property (especially if you have rooms with a view) like this one could be a great addition to your arsenal. For destinations, if your area is particularly breathtaking from the air, or has a lot of interesting notable landmarks or the horizon, drone video is a great way to showcase them. The potential for tourism videos is amazing. Here’s a really beautiful example done by Visit Norway. So we know that drone video can be a powerful tool for tourism. The question remains, do you buy the drone and try to capture the video yourself or shell out the cash for a professional pilot? Remember, it takes time to master the skill of flying a drone, and there are a lot of rules you need to know about where you can and can’t fly. Even if you get the hang of flying and learn all the rules, the video will still need to be edited. If you or your agency is proficient in video editing, you’re golden. If not, having a pro do the leg work is likely worth the money. Some big time travel destinations have been affected by terrorism lately, which begs the question, how is it affecting tourism? Currently, searches for European vacations are down 13%, compared to this time last year. However, searches for South America and Asia are higher. Travelers aren’t ready to stop traveling, they’re just temporarily diverting. According to one study, terrorism generally dissuades visitors for about a year. It sounds bad, but the same study showed that a natural disaster or political unrest can affect tourism for twice that long. Experts are still predicting a solid summer travel season though, mostly because a strong dollar and cheap airfare are a stronger influence on tourists than potential terrorism. What if you already planned a trip to Europe? Should you stay or should you go? Experts say, go. But have a plan and use these tips to stay safe. It feels a little early to say we’re out of the woods on another winter, but it’s been feeling pretty spring-like, so this week, we’re talking spring break travel. 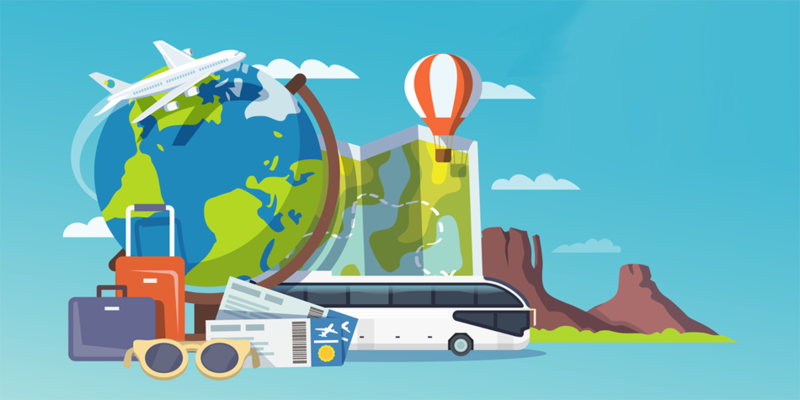 Spring means spring break, and if you want to travel, but don’t want to pay the outrageous rates that come along with it, check out this article about the cheapest places to travel and when during this season. Air travel is expected to hit a record 140 million passengers this spring, thanks to more reasonable fares. In return, airlines are bringing out bigger, newer jets and hiring more employees to meet the demand. While spring break used to mean hitting a beach with thousands of your closest college friends, it seems kids these days (yeah, I’m old enough to say that) are looking for a more worldly experience – often heading to Europe or more culturally complex cities in the U.S. In fact, Americans in general seem to be looking beyond their own borders when it comes to where they’re headed this spring, with destinations like Canada, South Africa, India and China rounding out the top ten most popular spots.